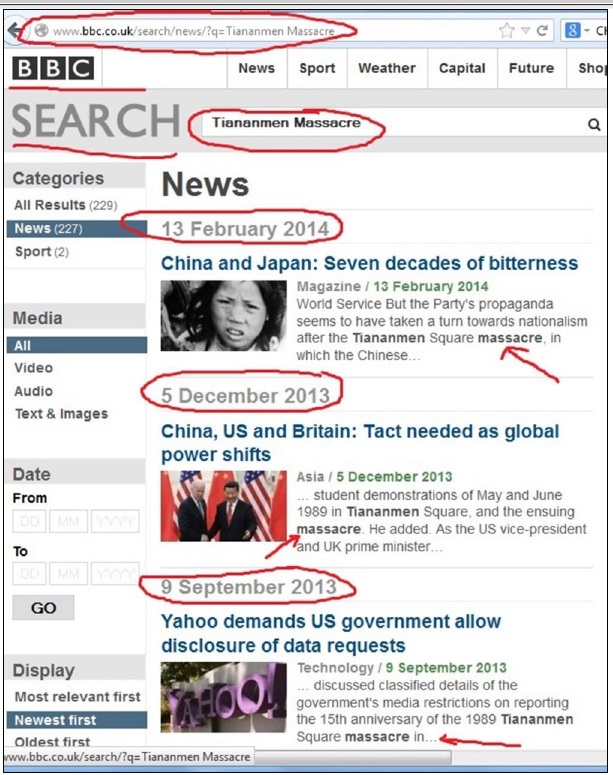 When we search the internet for ‘Tiananmen Square Massacre', there are hundreds of thousands of hyperlinks to books, news, articles, and videos that describe the event as a "Massacre"; and even the reputable Encyclopaedia Britannica also cites the Western media as sources to describe the 1989 incident as a "Massacre". 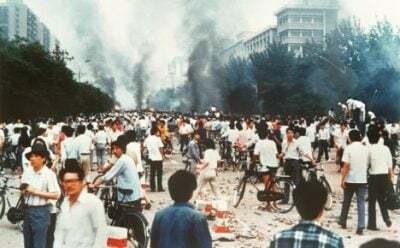 This is despite the fact that, in 1998, Washington Post journalist Jay Mathews confessed in the Columbia Journalism Review that "no one died at Tiananmen Square" and that "it is hard to find a journalist who has not contributed to the misimpression". "we saw no bodies, injured people, ambulances or medical personnel - in short, nothing to even suggest, let alone prove, that a "massacre" had recently occurred in that place," however, Roth continues: " after a debrief[ing] on-air by Dan Rather (London office), I made an effort to avoid using the word "massacre"", and acknowledged that he did not "make a point trying to contradict a colleague on the air." "A PLA commander shouts at the crowd to disperse and warns that his troops will fire if people didn't go. Still, people hold their ground. The troops lift their rifles and fire above the heads of the crowd." In fact, there is ample silent evidence in the images produced by the Western media that tells the story of a highly restrained Chinese government facing a protest of a similar nature to ones in the West at that particular stage of economic development. 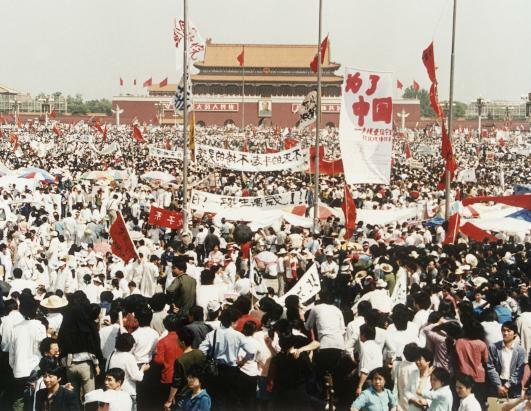 The book: Tiananmen Square "Massacre"? The Power of Words v Silent Evidence (2014) compares dozens of images (silent evidence) from the Western media to their corresponding captions to explain how the power of language can easily overpower the silent evidence that tells the opposite story. People say journalism is merely a first, rough draft of history. But the problem here is that this draft appears to have been canonised, passing largely unedited into popular conscience. I do question, however, the Western media's basic assertion that the demonstrations had been "pro-democracy". Even now, a raft of editorials commemorating the event's 20th anniversary repeats the mantra that the students were "demanding democracy". As a matter of fact, former Australian China Desk officer Gregory Clark wrote in the Japan Times (2008) complaining about how none of the media from the USA, the UK, and Australia, including "the New York Times, the usually impartial Guardian and Independent, and the Sydney Morning Herald, are interested in publishing rebuttals." The irony is that, after decades of portraying the protesters as unarmed and peaceful, the Guardian decided in 2009 to publish for the first time images of violence against the Chinese military outside Tiananmen Square by using the word "violence" in an ambiguous manner. Here is an example of how BBC manufactured the perception of a "MASSACRE" without having to show their viewers a single clip of a dead person. In fact, there is further evidence from the work of historians, the Wikileaks-leaked U.S. embassy cables, and The National Security Archive's declassified history, all pointing to the accuracy of the Chinese official story. Unfortunately, to this day, the event is still described by many as a "MASSACRE". Despite the reality, that truth is scattering in every corner, without the support of the Western media establishment, what could the bits and pieces do to make their way into people attention!